Ruco Chan (陳展鵬) and Phoebe Sin (單文柔) announced that they will be tying the knot in mid-October! Dating for almost two years, the couple just returned from their trip in England, where Ruco successfully proposed. In one of their wedding photos, Ruco knelt on one knee to re-enact his proposal. 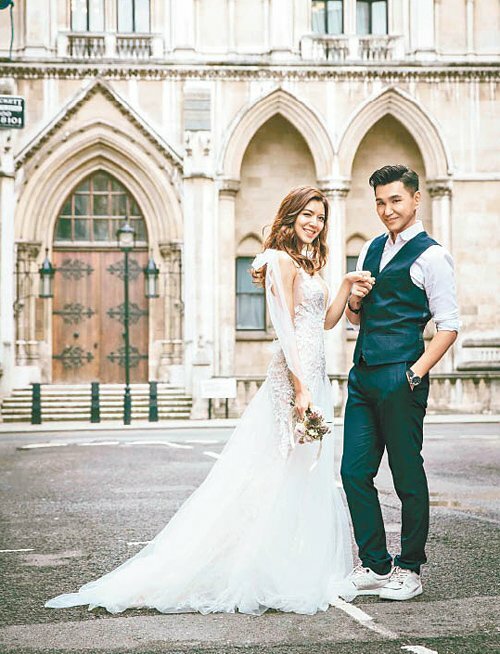 The couple’s wedding photos were taken in London and Paris last month. Wedding in October; Is Phoebe Pregnant? Since Ruco and Phoebe said they are hoping to have a simple and quiet wedding, they will not be inviting too many guests. However, Ruco will make sure all traditions and wedding customs are followed through. Many fans also wondered if the sudden announcement meant that Phoebe may be pregnant. Ruco said they are prepared to have children any time but will ultimately leave everything up to fate. OMG! 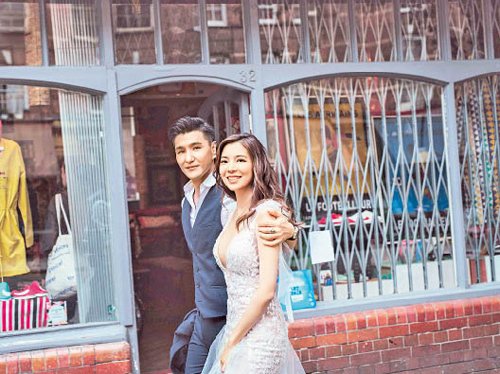 Hong Kong’s Sexiest Man Alive is getting married! 🙂 I’m thrilled by Ruco’s wedding announcement today. He’s said many times in the last few months that he wants Phoebe as his wife, but I thought the wedding won’t be until next year. He is sure a man of quick action. I think many fans were a little taken aback when Ruco and Phoebe’s dating news first surfaced. But over time, fans grew to accept Phoebe and her sweet nature. Looking forward to Ruco and Phoebe’s wedding. They are a beautiful couple! I’m waiting for Kenneth Ma’s wedding announcement next…. I thought Kenneth would actually get married before Ruco since he has been dating Jacqueline longer. @jayne I didn’t know he’s Hong Kong’s Sexiest Man Alive? haha Lol….They do look cute together, he does not look 41. @jayne She gives off that simple vibe, which fits Ruco. Congratulations!! Finally Ruco found his Mrs. Right. Ruco definitely looks much better and younger in here without his glasses. To be honest I’m a little shocked about he’s going to get married this early. Wonder who’s going to be his best man and bridesmaid? Those pictures looks very nice. I don’t think phoebe is pregnant now maybe she just wanted to have a wedding just like Grace she’s not pregnant right now either right? I didn’t find Phoebe that attractive, but they actually look very cute together here! Congratulations to them! This pictures are beautiful. They look very happy. These photos do show a softer side of him and how much he loves her! Good for them! Her dress is too revealing! Congrats to them!